The horticulture title of the new farm bill contains a section that legalizes industrial hemp production as an agricultural commodity. The farm bill removed industrial hemp from Schedule 1 of the Controlled Substances Act, authorized crop insurance for industrial hemp and allows for hemp clones and seedlings to cross state lines. States are responsible for establishing a plan to monitor, test and enforce penalties around hemp production. This industrial hemp plan would be submitted by the state to USDA to receive authority under the farm bill. Until state laws in Oklahoma change, the current Agricultural Industrial Hemp Pilot Program remains in effect. 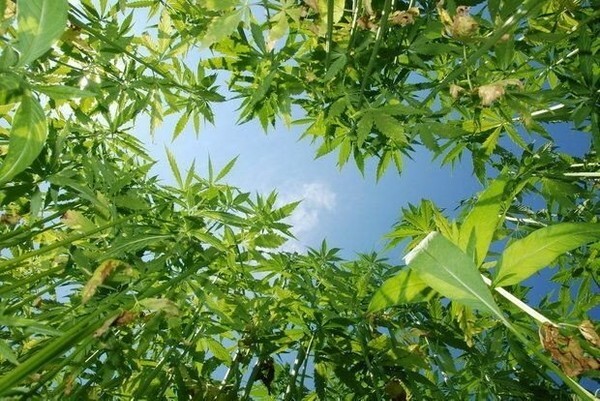 With passage of HB2913 in 2018, Oklahoma universities and colleges with a plant science curriculum are eligible to apply for an annual license from the Oklahoma Department of Agriculture, Food and Forestry (ODAFF) to grow Industrial Hemp for research. While independent producers may not directly apply for a license, they may contract with a university or college to obtain a license and participate in the pilot program. The university and college may also subcontract for labor, land or expertise. ODAFF’s Agricultural Industrial Hemp Pilot Program regulates the growing of industrial hemp. It also provides the authority to administer a certified seed program for industrial hemp. Industrial hemp means a plant of the genus Cannabis and any part of the plant, whether growing or not, containing a delta-9 tetrahydrocannabinol (THC) concentration of no more than three-tenths of one percent (0.3%) on a dry weight basis. ODAFF does not have jurisdiction over the processing, sale, or distribution of industrial hemp. There are currently eight colleges and universities participating in the Agricultural Industrial Hemp Pilot Program- Langston University, Redlands Community College, Northern Oklahoma College-Tonkawa, Northwestern Oklahoma State University, Oklahoma Panhandle State University, Murray State College, Connors State College, and Western Oklahoma State College. In 2018, there were 28 licensed growers, 445 acres planted and 80,000 square feet of indoor growing area, according to the Consumer Protection Services Division of ODAFF. An application fee as well as an inspection fee is due at the time the license application is submitted. A separate license is required for each cultivation site. The Oklahoma Hemp Pilot Program License is available on the home page of www.oda.state.ok.us.